Bell State Bank & Trust and Sterling Real Estate Trust have partnered to buy Northland Plaza, a prominent 15-story tower near the intersection of Interstate 494 and France Avenue in Bloomington, for $52.5 million. The Fargo, N.D.-based companies last Thursday finalized the purchase of 3800 American Blvd. W. from MetLife, according to public documents. It is the latest in a series of Twin Cities office complexes to fetch prices far above estimated market value. Hennepin County’s 2015 assessment valued the property at $38.7 million, an 18 percent increase over the previous year’s value. Last week’s sale marks an additional 35 percent increase. The 296,000-square-foot building hasn’t changed hands since MetLife bought it in 2004 for $43 million. Bell State, the largest independent bank in Minnesota, views the acquisition as a tool to raise its profile in the Minneapolis-St. Paul metro area. The company hopes the visibility will help position it for expansion of its lending, private banking, residential mortgage and wealth management services. 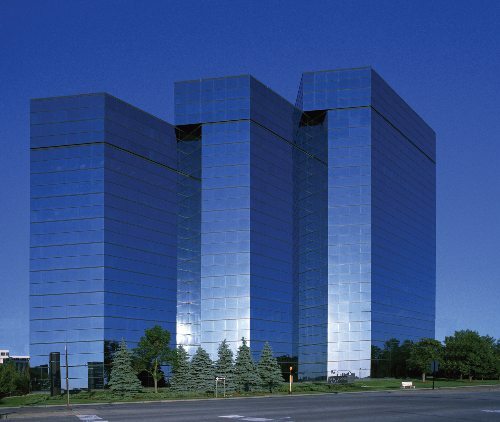 The sale comes one year after MetLife startled the market by buying the Normandale Lake Office Park, the largest office building in Minnesota and just a mile down I-494, for a jaw-dropping $369 million. That sale shattered the previous Twin Cities office transaction record of $265 million, which was for the same property in 2012. Bell State’s Twin Cities presence has grown since it purchased Minneapolis-based Bell Mortgage in 2011. The company opened its first full-service bank location in the metro area in 2012. This acquisition marks the 30th property in Sterling’s portfolio. The company, formerly known as INREIT Real Estate Investment Trust, was founded in 2002 and invests primarily in commercial and multifamily properties across the central and northern United States.